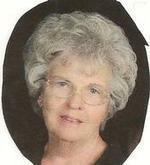 Jenice Gallaway, 75 of Ashland passed away Tuesday, March 22, 2011 unexpectedly. She was born on March 8, 1936 to Ed and Nina (Enzor) Tennis of Adario, OH. Jenice graduated from Savannah High School in 1954. She married David Gallaway June 20, 1956 at the Adario Methodist Church. Jenice, a graduate of Ashland College taught elementary school in the Ashland area for 27 years, most recently at Pleasant St. School in Ashland. Jenice was a member of the Ashland Grace Brethren Church where she was a member of the Women of Grace Bible study group. She enjoyed flower arranging, sewing, and attending the activities of her grandchildren. She was recently honored as the "Resident of the Month" at Colonial Manor in Loudonville, where she has resided the past four months. She is survived by her husband, David of 54 years, children, Elaine (Richard) Hess of rural Ashland, Mark (Kit) Gallaway, Ashland and Cynthia (Ken) Eckenroth of Raleigh, NC. Grandchildren, Matt (Amanda) Hess, Kelly (Steve) Durig, Zac (Sarah) Hess, Megan Gallaway, and Greg Gallaway. Great-grandchildren, Olivea and Kale Durig and Addison and Aubree Hess; Sister, Dana (Bill) Fast; Brothers, Bud (Dotty) Tennis and Vaughn (Stephanie) Tennis. She was preceded in death by her parents, Ed and Nina Tennis. Friends may call Friday, March 25, 2011 from 6 to 8 pm at Heyl Funeral Home, 227 Broad Street, Ashland, Ohio 44805. A celebration of life service will be held Saturday, March 26, 2011 at 10:30 am at the Grace Brethren Church Worship Center, 1144 West Main Street with her grandson, Zac Hess, Intern Pastor, Leesburg Grace Brethern Church in Leesburg, IN officiating. Burial will follow in the Ashland Cemetery. Donations, if desired, in memory of Jenice may be directed to the Hospice of N. Central Ohio, Alzheimer's Support Group, 1050 Dauch Drive, Ashland, Ohio 44805 or Gideons International, P. O. Box 5, Ashland, Ohio 44805. Heyl Funeral Home assisted the family with arrangements.